Regain the ability to enjoy a relaxing bath with the Orca bath lift by Aquatec Invacare. The Orca bath lift is a high quality, ergonomic bathing solution that combines improved comfort and safety features with convenient handling. Emphasis on ergonomic design allows the Orca to sit lower and further towards the back of the bath. Which gives increased leg room for deeper and more relaxed bathing. 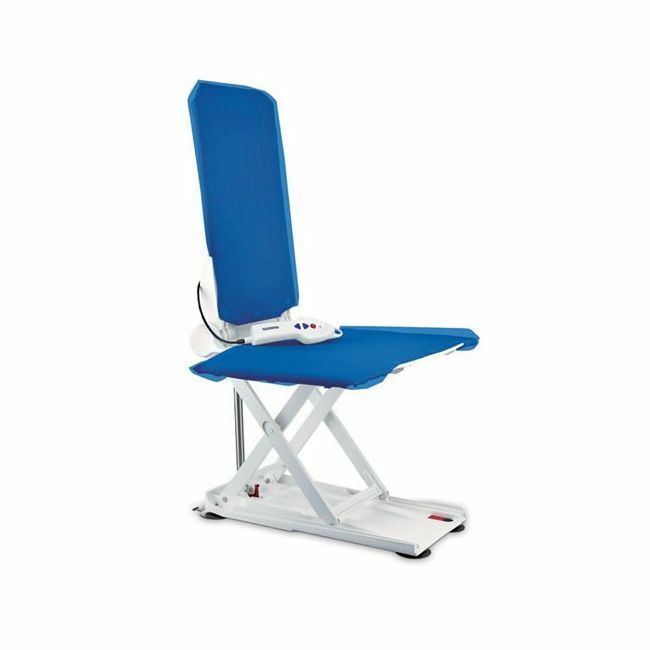 The increased height of the backrest provides full support whilst upright or reclined. The floatable hand control contains the lightweight integrated battery. When pushed forward the Orca’s backrest folds down and automatically locks. The backrest and base section can then be removed from the bath. The 2 sections fit neatly into one another to give an extremely compact size for storage.